Klook Exclusive: Enjoy a free bottle of water when you book through Klook while stocks last! 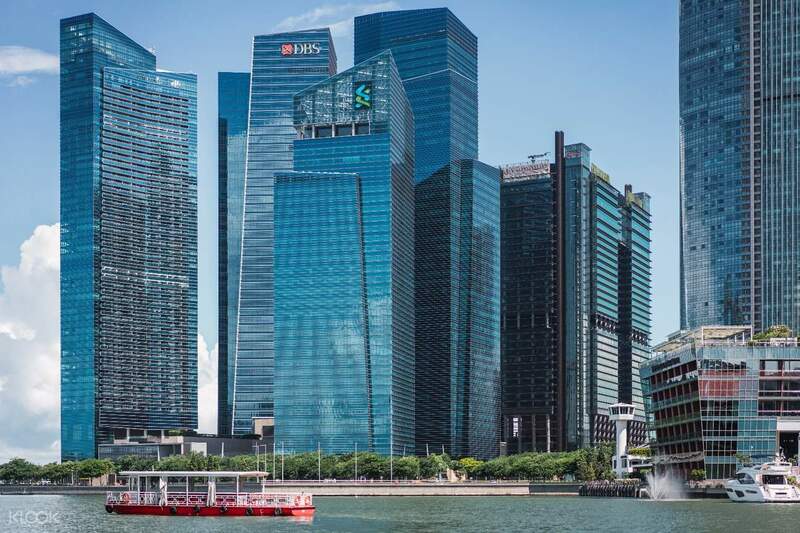 See Raffles' Landing Site, Fullerton Hotel, Singapore Flyer, Marina Bay Sands and more! finding waterb was very easy with klooks instructions. recommended. 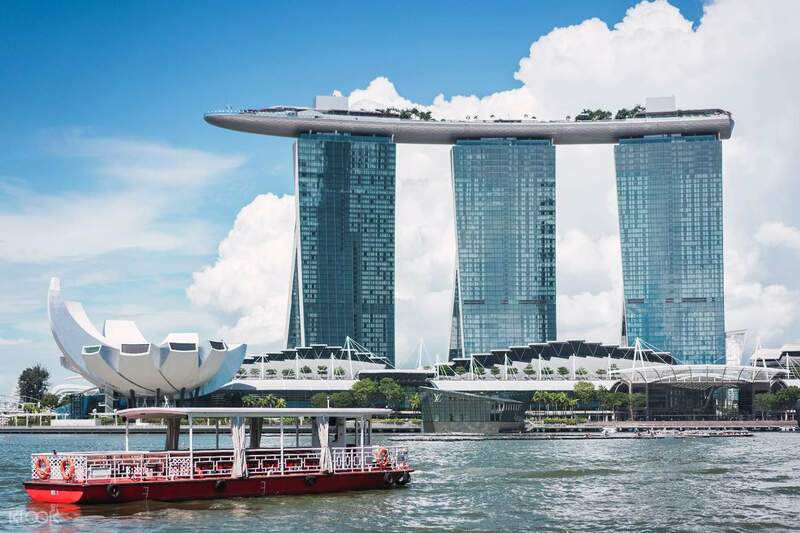 See the busy Singapore from a new angle as you embark on a delightful boat cruise that will introduce you to the city’s exciting urban present as well as its interesting past. Once a busy trading waterway to the shophouses at Boat Quay, Singapore River has since transformed into a relaxing scenic route evoking memories of Singapore’s early days. 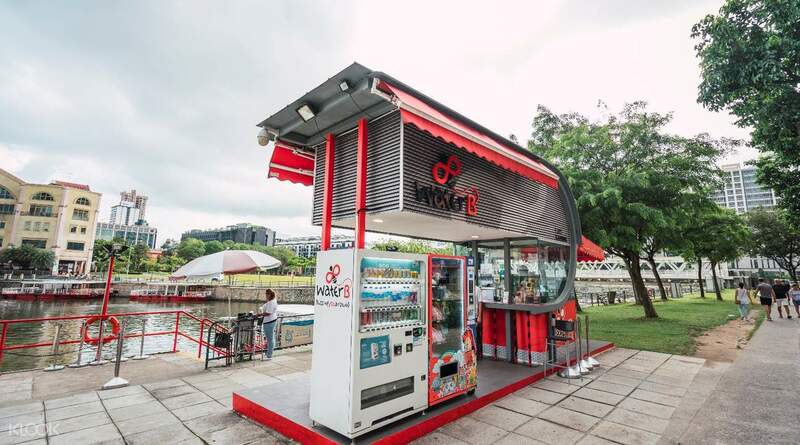 Hop on the boat at Fort Canning Jetty and sail past key city landmarks including Riverside Point, Parliament House, Asian Civilizations Museum, Merlion Park, Esplanade Theatres on the Bay and more. Listen to onboard commentary and learn interesting facts about the city. 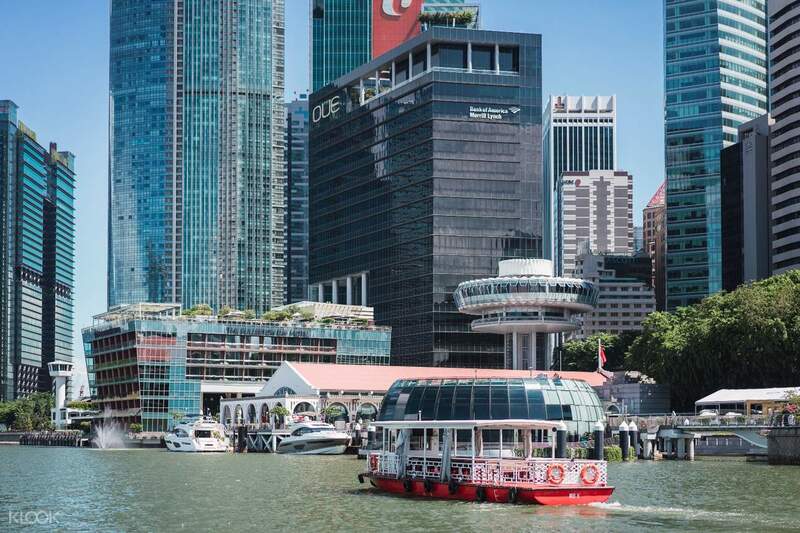 You will be able to get off at any of the 7 jetties at Clarke Quay, Marina Bay or Boat Quay to continue your exploration of Singapore. Explore Singapore like never before aboard a cruise ship on your way to the city's major landmarks! Book now through Klook to enjoy more of Singapore's incredible sights! Grt Boat Ride to soak yourself in the lights and scenic of Singapore River with Mesmerising views of the City's Skyline and Iconic Structures. Plan it during Evening. Prices are quite reasonable by Klook than the alternate options. Grt Boat Ride to soak yourself in the lights and scenic of Singapore River with Mesmerising views of the City's Skyline and Iconic Structures. Plan it during Evening. Prices are quite reasonable by Klook than the alternate options. The river cruise was fantastic and a lot of fun! The views were nice, and you can choose to go down at any of the set stations for convenience. Just remember to tell the captain which station you want to come off of. The river cruise was fantastic and a lot of fun! The views were nice, and you can choose to go down at any of the set stations for convenience. Just remember to tell the captain which station you want to come off of. little bit tricky to find the ticket booth. super friendly staff. loved the audio. We paid the extra to stop and see the Marina Bay laser show and loved watching it from the water. thoroughly enjoyable way to watch the laser show and to see the bridges and buildings all light up at night. close to the MRT. little bit tricky to find the ticket booth. super friendly staff. loved the audio. We paid the extra to stop and see the Marina Bay laser show and loved watching it from the water. thoroughly enjoyable way to watch the laser show and to see the bridges and buildings all light up at night. close to the MRT. First time to cruise on the river, it was a good experience. We went in the evening so it wasnt as hot. Everything just lit up, it was very nice. They also tell you the history of the buildings and architecture so it's also educational! First time to cruise on the river, it was a good experience. We went in the evening so it wasnt as hot. Everything just lit up, it was very nice. They also tell you the history of the buildings and architecture so it's also educational! If its your first day in Singapore, and you want to be suitably impressed, do the river cruise. If the sights and sounds don't fill you up (and there's no way it can't), then there's the food to take in. Just do the river cruise. If its your first day in Singapore, and you want to be suitably impressed, do the river cruise. If the sights and sounds don't fill you up (and there's no way it can't), then there's the food to take in. Just do the river cruise. A great view to see the beautifully architectured buildings. Highly recommended to try this when visiting Singapore. This would be a good way to sit back and relax with 40 min boat ride that is more than enough after a long walk from Clarke Quay or Marina Bay. There are plenty of ticket redemption booths within Clarke Quay or Marina Bay area. Plus Klook makes it convenient so you want have to pay cash, just simply present the printed voucher or your phone with the copy of the voucher. A great view to see the beautifully architectured buildings. Highly recommended to try this when visiting Singapore. This would be a good way to sit back and relax with 40 min boat ride that is more than enough after a long walk from Clarke Quay or Marina Bay. There are plenty of ticket redemption booths within Clarke Quay or Marina Bay area. Plus Klook makes it convenient so you want have to pay cash, just simply present the printed voucher or your phone with the copy of the voucher. The port is just outside the mall so it’s easy to find. The boat is comfortable and the crew is friendly. Although it had some technical problems and we had to wait for another one to pick us up near Marina Bay Sands, the whole process was smooth and we got to enjoy the day and night view of the river, so beautiful and dazzling! The port is just outside the mall so it’s easy to find. The boat is comfortable and the crew is friendly. Although it had some technical problems and we had to wait for another one to pick us up near Marina Bay Sands, the whole process was smooth and we got to enjoy the day and night view of the river, so beautiful and dazzling! its was great and smooth ticket redemption, i upgraded for laser and light cruise just for Sgd10. the view was fascinating plus i receive some goodies and mineral water too. its was great and smooth ticket redemption, i upgraded for laser and light cruise just for Sgd10. the view was fascinating plus i receive some goodies and mineral water too.